Beautiful masks are perfect for reigning in the autumn season! 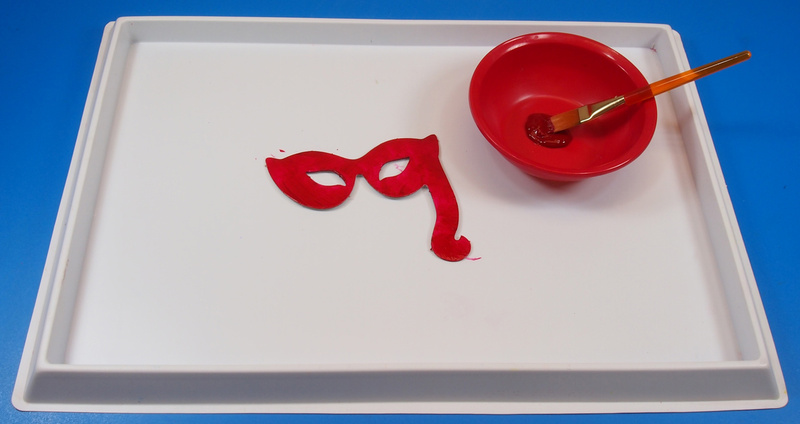 These flashy red, green and gold Masquerade Glasses are easy to make too! Try out our Craft Challenge below and send us photos of your work to get featured in a post. Find out your craft challenge below! Masquerade Glasses are versatile for kids of all ages to use! 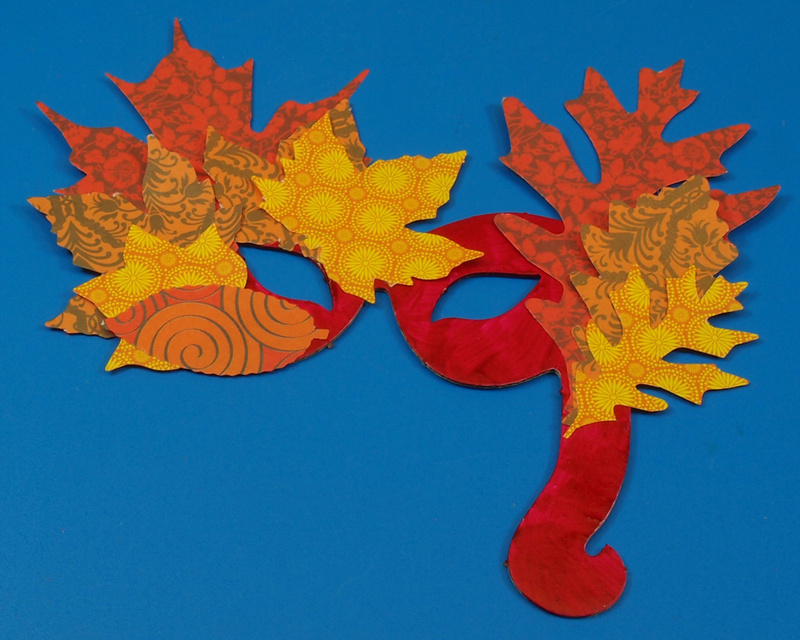 Everyone can decorate their unique Masquerade Glasses anyway they like, but the R15335 Spring and Autumn Leaves add a perfect autumn twist to this craft. You can use markers instead of paint to color in the R52023 Masquerade Glasses. You won’t have to wait for drying times! Color in the R52023 Masquerade Glasses completely. Make sure none of the card shows through! Pop out the R15335 Spring and Autumn Leaves from the backing. 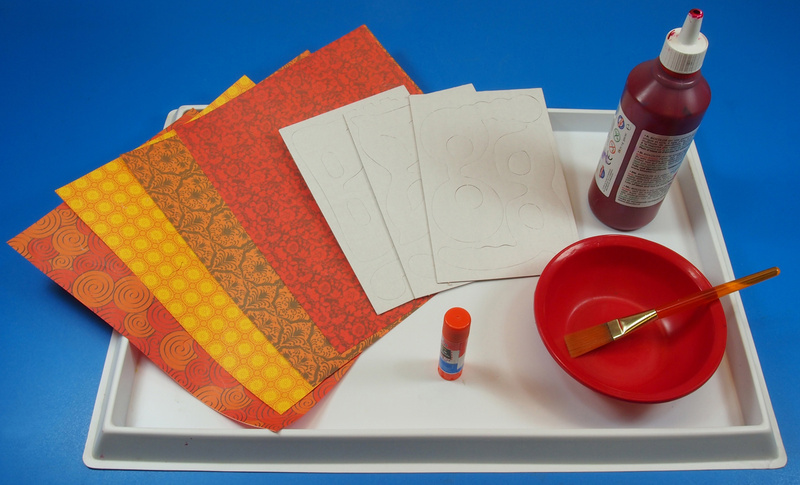 The kit includes most fall colors such as yellow, gold, red, orange and green. 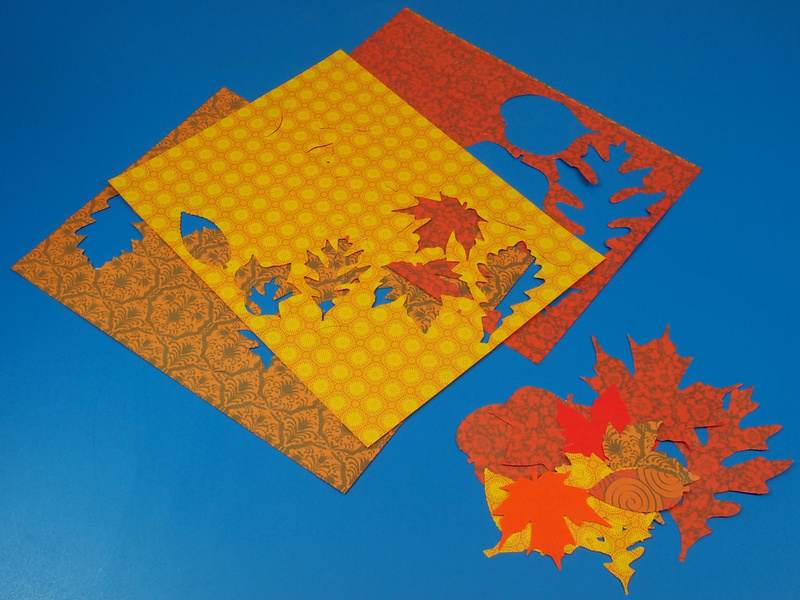 The leaves are double-sided, featuring a flat color on one side and a pattern on the other side. The patterns are great for adding dimension to your projects! Select the best-looking leaves and arrange them onto the R52023 Masquerade Glasses. Tip: Put the larger leaves on the corners of the R52023 Masquerade Glasses, and lay the longer leaves along the edges. This mask is simple to make, but looks amazing! Go outside while wearing the leafy Masquerade Glasses. Stand by a tree and take a picture! It will look like the leaves of the Masquerade Glasses are a part of the tree! Send us your photos of this project. Contact us through the contact form. We will post the photos up in an upcoming post! Thanks for visiting! 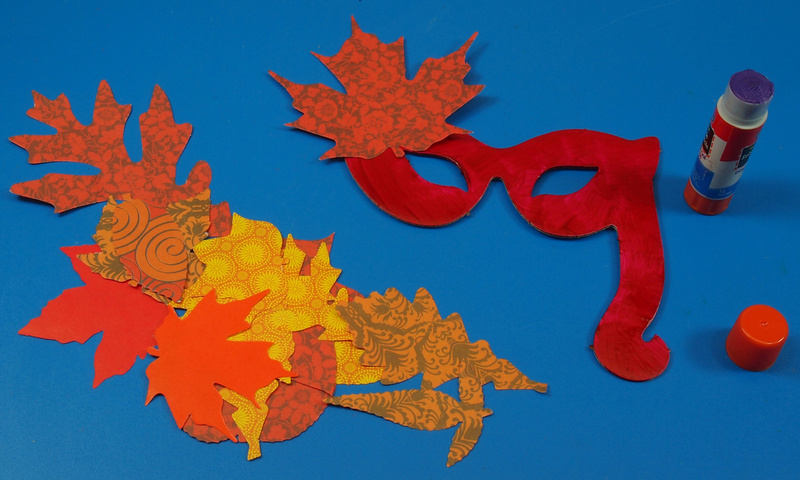 This entry was posted in Crafts and tagged art, art education, art teacher, crafts, fall leaves mask, kids art, kids crafts, spring and autumn leaves by roylcoblog. Bookmark the permalink.